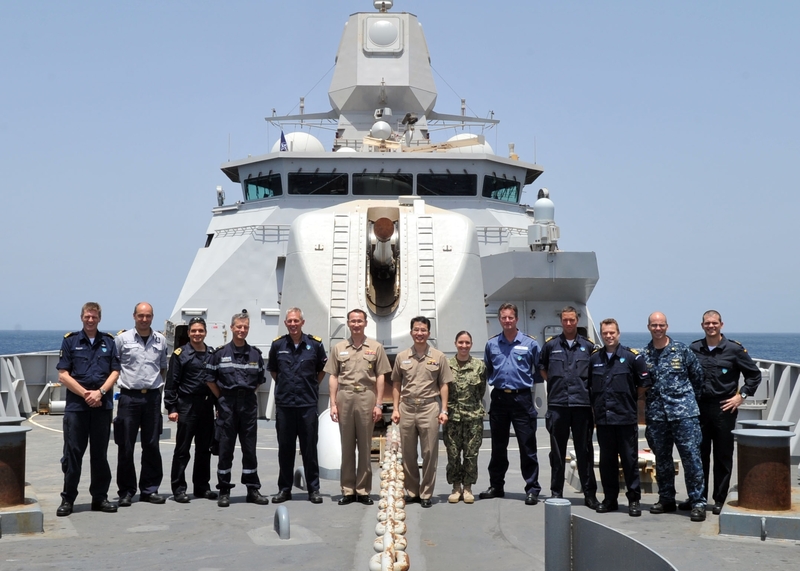 The Operational Heads of Combined Task Force 151, NATO and EUNAVFOR met at sea for the first time in the Gulf of Aden, on 18 Jul 12. The Commander of Combined Task Force 151 (counter piracy) Rear Admiral Anho Chung from the Republic of Korea Navy met with his counterparts, Rear Admiral Jean Baptiste Dupuis, French EUNAVFOR Commander and Commodore Ben Bekkering, the Dutch NATO Commander aboard the NATO flagship HNLMS Evertson. The heads of the Task Forces , ROKS Wang Geon (CTF 151) and FS Marne (EUNAVFOR) rendezvoused with HNLMS Evertson in the Gulf of Aden following a replenishment at sea serial whilst engaged in anti-piracy duties. 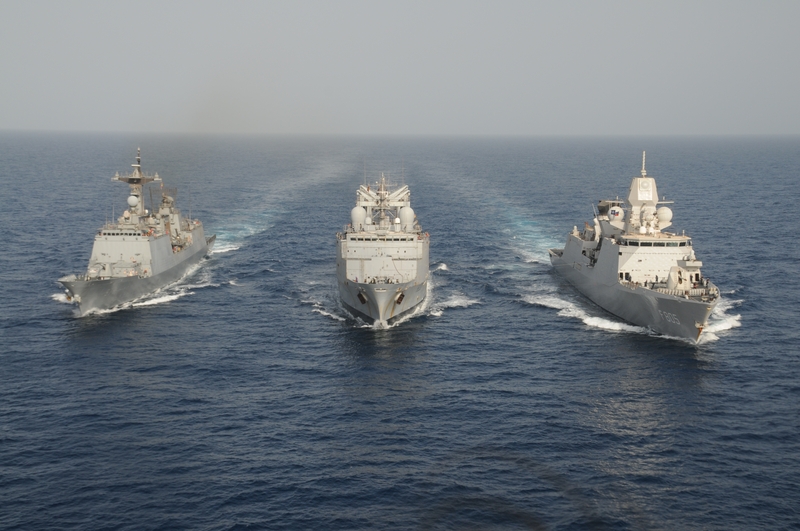 This is the first time that the three Commanders have met at sea and the event symbolised the enhanced cooperation between the “Big Three” counter piracy task forces. During the meeting the Commanders discussed lessons learned and emerging pirate trends. It also allowed them to plan and deconflict future initiatives.